Since Glasgow is vegan heaven, we had so many options while visiting: Bread Meats Bread, Rose and Grants, Pizza Punks and more, all offer vegan options on their main menu. 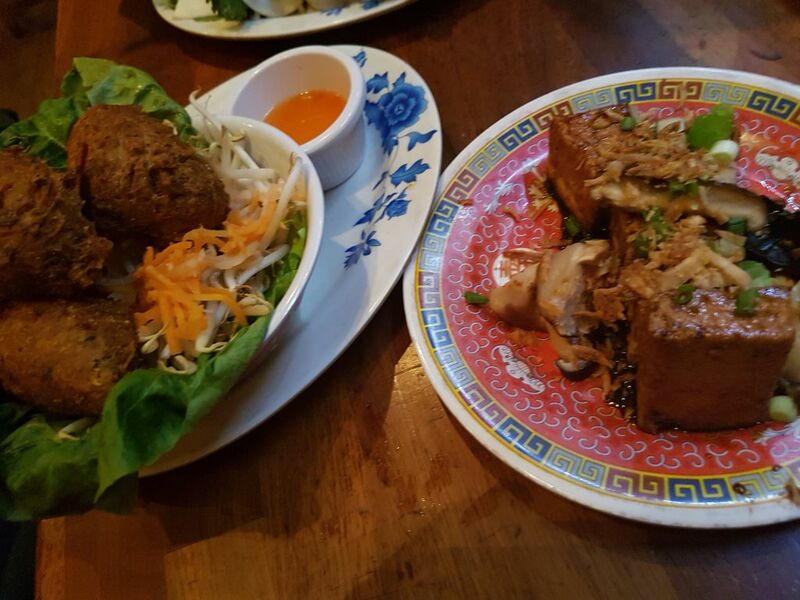 These are places that have vegan options as standard, and those options were delicious. We were getting to the end of our trip, but still had a massive list of places we wanted to try. High up there was Hanoi Bike Shop. Just looking at the menu made us both feel hungry, so we decided to go and give them a try! 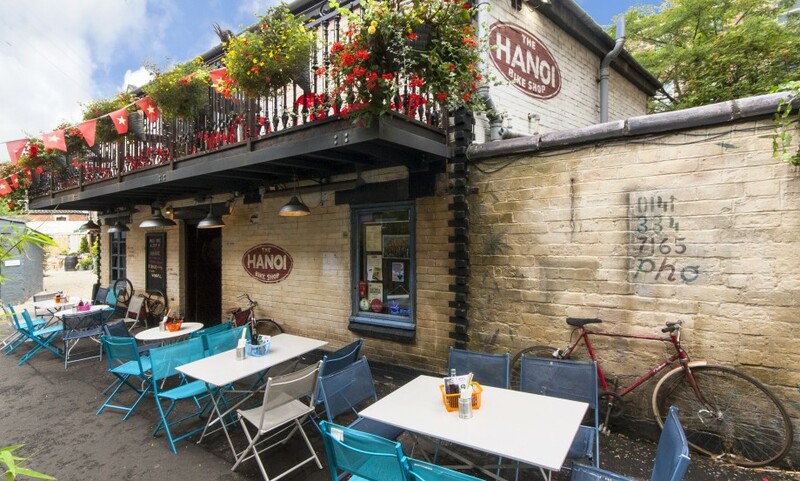 You’ll find Hanoi Bike Shop tucked away down a cobbled mews (Ruthven Lane, just off Byres Road) in the West End of Glasgow. It’s quite a small place, but this small is beautiful! Don’t feel as though the shortage of space is reflective of the quality of food – it’s not. 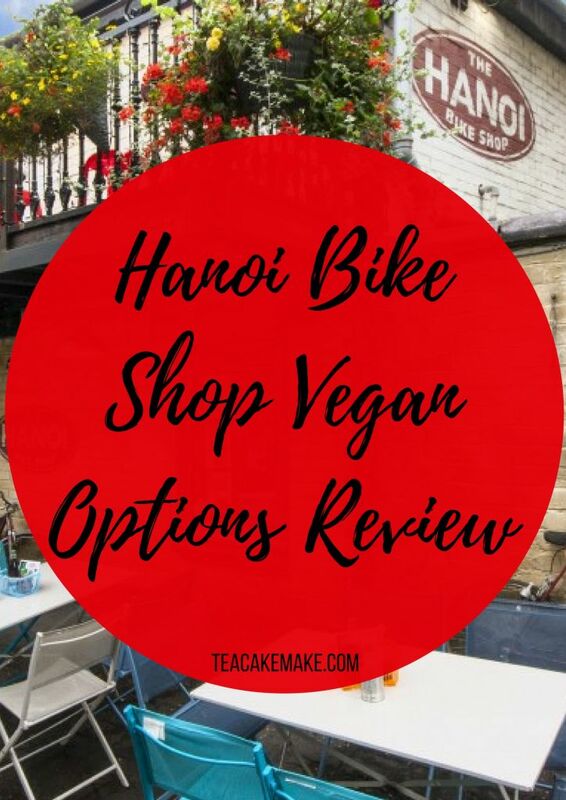 All food at Hanoi Bike Shop is freshly made, including their organic tofu! You can order small plates and dishes, or you can have pay £19.95 each for a group of 4 to have a selection of plates to choose from. We went for a small selection of dishes that took our fancy. 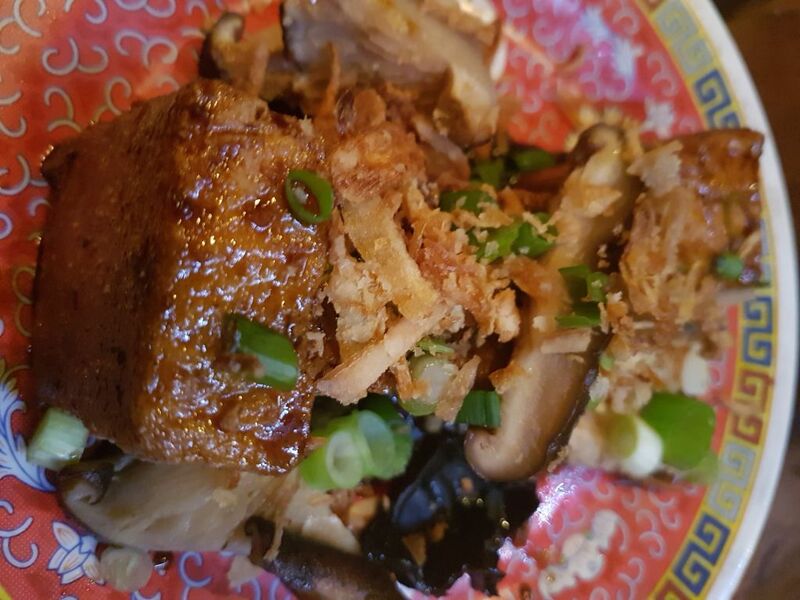 We really loved this fresh-on-the-day organic tofu, with black pepper sauce, served with pickled mushroom and crispy shallots. 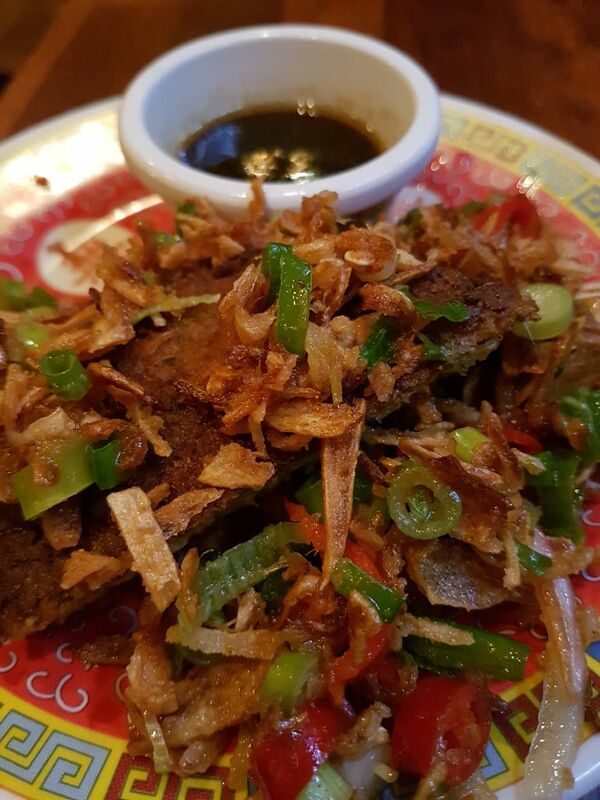 These comforting, crispy cakes were served with birds eye chilli, spring onion, and topped with crispy shallots. 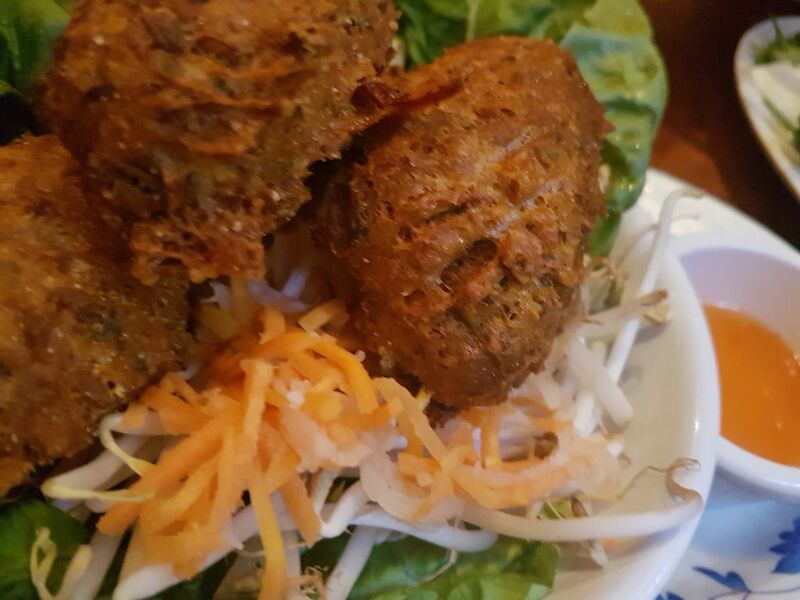 Although made with chilli, these delicious fritters weren’t overly spicy, and paired with the vegan nuoc chay sauce and lettuce leaves, these were tasty. There currently aren’t any vegan dessert options; this is something that would be really nice to end a meal on though, even if it’s just a refreshing sorbet. 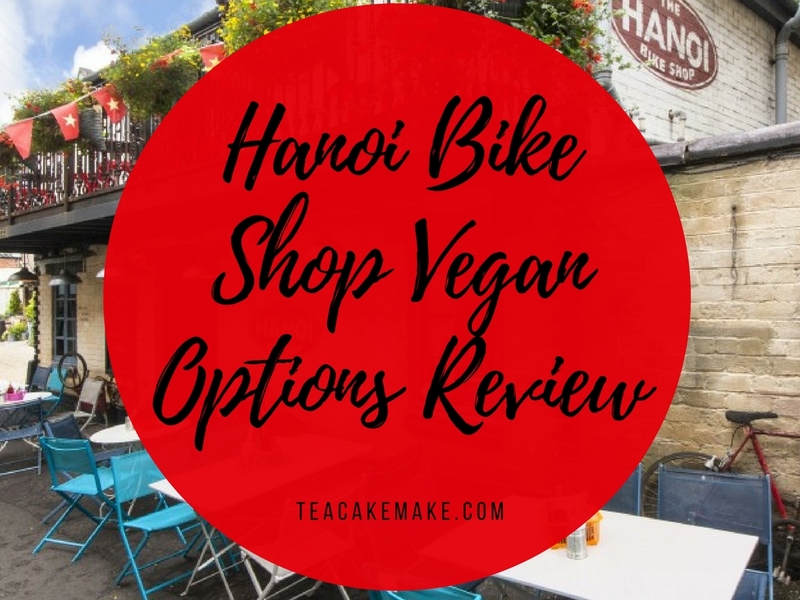 Overall we enjoyed the food at Hanoi Bike Shop – it was super tasty, and not too expensive. The atmosphere was busy, but I felt a little over-flustered at times, particularly since we were sat by the bar and kitchen area on a very small table. If we went again, I would try to make sure that we had a little more space and were sat away from the kitchen area. Have you been to Hanoi Bike Shop before? What did you try and how did you find it? Read more about my trip to Glasgow: Bread Meats Bread Vegan Review, Rose and Grants Vegan Review.